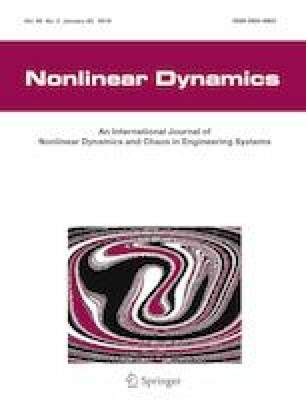 This paper is concerned with the finite-time synchronization problem of coupled drive-response systems with time-varying delays via quantized adaptive aperiodically intermittent control. Compared with previous research results, the intermittent control is aperiodic and coupling functions are nonlinear. Furthermore, both internal time-varying delays and coupling time-varying delays are considered. By employing Lyapunov–Krasovskii functional method and Kirchhoff’s Matrix Tree Theorem, some novel sufficient conditions are derived to guarantee that drive-response systems can achieve synchronization in finite time. Specially, the convergence time is discussed. It is worth pointing out that the convergence time is closely related to topological structure of networks and the maximum ratio of the rest width to the aperiodical time span. Finally, finite-time synchronization of a typical second-order Kuramoto model with time-varying delays and Chua’s circuits model with time-varying delays are studied by using our theoretical results. Meanwhile, the numerical simulations are given to illustrate the effectiveness of the theoretical results we obtained. The authors really appreciate the valuable comments of the editors and reviewers. This work was supported by the Natural Science Foundation of Shandong Province (Nos. ZR2018MA005, ZR2018MA020, ZR2017MA008); the Key Project of Science and Technology of Weihai (No. 2014DXGJMS08) and the Innovation Technology Funding Project in Harbin Institute of Technology (No. HIT.NSRIF.201703). The authors declare that they have no conflict of interest concerning the publication of this manuscript.